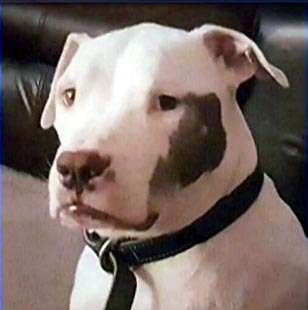 PENNSYLVANIA -- Police and animal control are investigating at least four reports of dogs being stolen in Allegheny and Westmoreland counties. 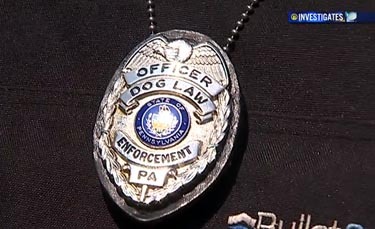 Dog owners thought animal control was picking up their dogs, but the described vehicle does not match any official vehicles, according to an undercover dog law-enforcement officer. “I have four instances and nobody knows who this is. The only thing we have is a Chevy pickup truck with cages in the back,” said Paul, an undercover dog law enforcement officer who requested his last name not be revealed. 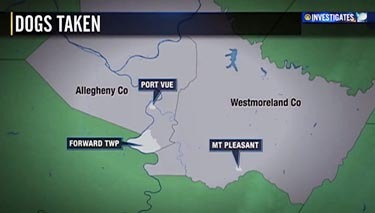 Police tell Channel 11 the dognappings happened in Port Vue, Forward Township and Mt. Pleasant. 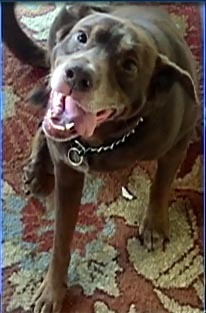 Rewards are being offered for two dogs taken, an 11-year-old dog named Bailey and another dog named Terri, who was taken at an intersection in Port Vue. “It's not good. It's not good. Everybody's alarmed,” Paul said.